In 1928, Le Corbusier created a range of Grand comfort lounge chair (LC2) with Pierre Jeanneret and Charlotte Perriand. 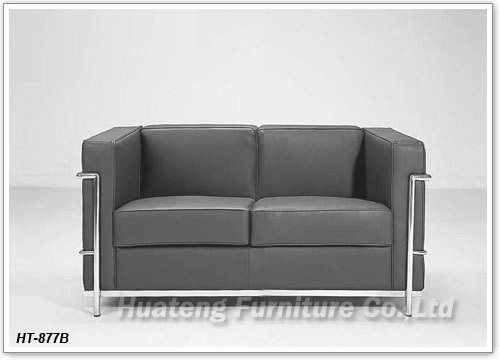 The collection includes chair, loveseat and sofa, which expressed his ideals with great sophistication. For his extraordinary contributions to architecture and design, Le Corbusier was regarded as the most influential and best known architect of the 20th century. Our reproduction of this chair with high quality material: Italian leather, Cow leather or PU covered for choice, stainless steel frame with high density foam inner, offers a leisure and cozy seating.